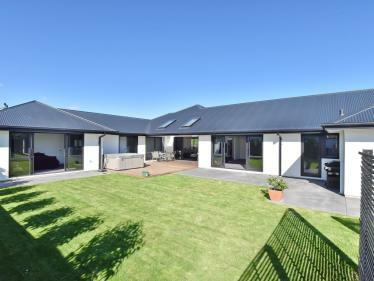 Head-turning looks and the low-care appeal of Colour Steel blend stylishly in this high-performance contemporary home offering 297 squares of spacious living with vivacious and vibrant entertaining. 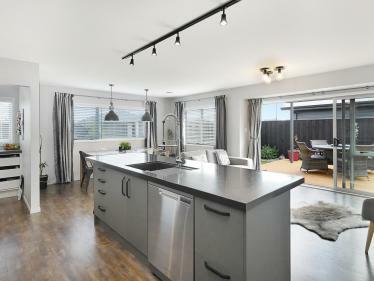 Open-concept shared areas tie together a designer kitchen featuring stone island and scullery, integrated dining and large lounge from which triple sets of sliders transition to decking enjoying day-long sun and peeps of Mt Hutt. Concrete floors offer an edgy industrial aesthetic while rich-grained timber panelled ceilings invoke a warm earthy ambience enhanced by a wet-backed wood-burner. 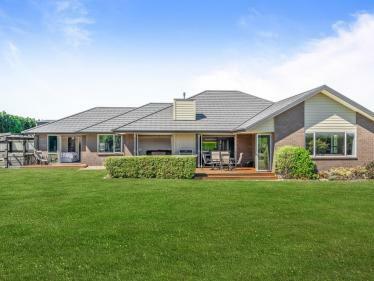 For instant heating or cooling you can flick on the air-con/heat-pump with full insulation and double-glazing keeping interiors perfectly acclimated across all seasons. Guest-room, powder-room and master bedroom incorporating semi-tiled ensuite and walk-in occupy one wing of the home while the other envelopes two family bedrooms, media-room and main bathroom for seclusion and quiet. 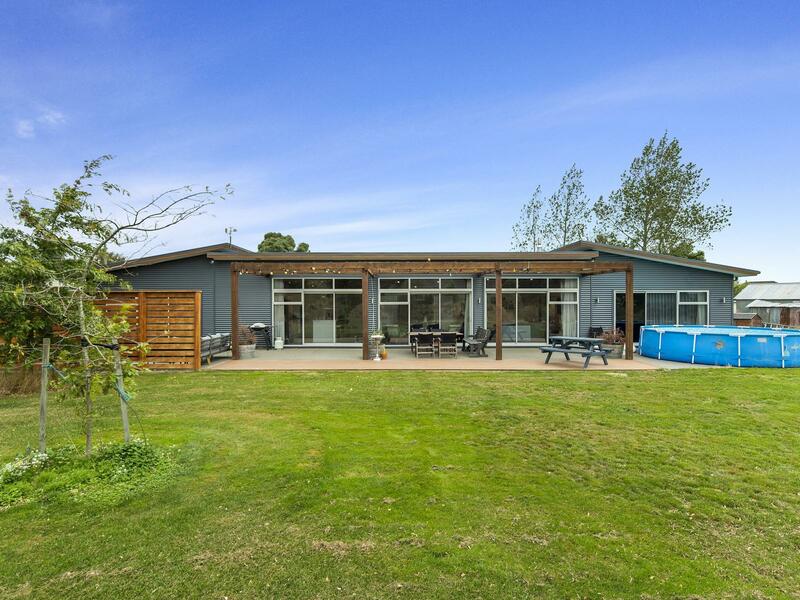 5,356sqm section lets the kids keep a sheep in a secure paddock with landscaped lawns around the house and off-street-parking supporting internal entry double garage. 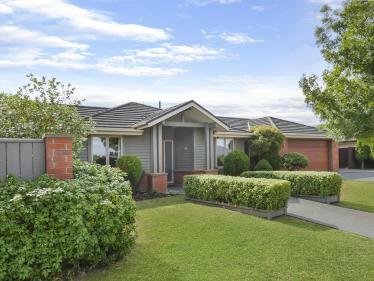 Form and functionality packed with personality check it at the viewing or contact Amy to arrange a personal inspection. CHATTELS Fixed floor coverings | Blinds | Light fittings | Auto Garage Door Opener and 2 Remotes | Clothesline | Dishwasher | Drapes | Electric Oven including microwave | Panel Heaters x 2 | Garden Shed | Gas Hob | Heated Towel Rail x2 | Heat Pump and Remote | Mirrors | Range Hood | Security Lighting | Smoke Detectors x4 | TV Aerial | Washing Machine Taps | Wiltshire Sheep x 2. Dual family living in a class of it's own!